Back to school is the best time to hit the books—the picture books, that is. Plus the nominations for the Canadian Children's Book Centre Awards are coming up soon, and so yes, we've got kids' books on the brain this month. Today we're pleased to bring you all the picture books you've absolutely got to read. All’s well until Elephant comes in, feeling sad because he has no hair. Can Maxwell help? Of course! After some careful thinking, he devises a solution to help even Elephant feel his best. Why we're taking notice: We loved Atkinson's illustrations for If I Had a Gryphon last spring. This new title looks like a lot of fun. 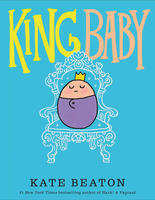 About the book: All hail King Baby! He greets his adoring public with giggles and wiggles and coos, posing for photos and allowing hugs and kisses. But this royal ruler also has many demands, and when his subjects can't quite keep up, King Baby takes matters into his own tiny hands. Why we're taking notice: All right, it's got not a single farting pony, but Beaton still charms in this follow-up to The Princess and the Pony. 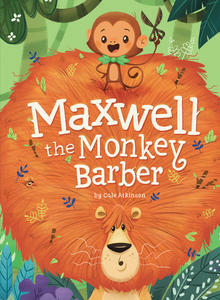 This is a book that will delight parents as much as their kids. About the book: Mom’s friend Mrs. Cunningham is coming for a visit, and she’s bringing her baby! While Buddy tries to explain the ins and outs of babydom to Earl, neither of them is prepared for the chaos the small and adorable creature brings with him. 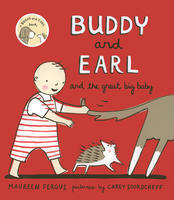 Why we're taking notice: Buddy and Earl get funnier and funnier with every book. The camaraderie between deadpan Buddy and mischievous Earl is as delightful as it is hilarious. 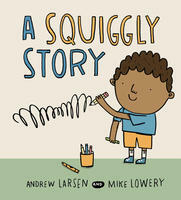 About the book: A young boy wants to write a story, just like his big sister. But there's a problem, he tells her. Though he knows his letters, he doesn't know many words. “Every story starts with a single word and every word starts with a single letter,” his sister explains patiently. “Why don't you start there, with a letter?” So the boy tries. He writes a letter. An easy letter. The letter I. And from that one skinny letter, the story grows, and the little boy discovers that all of us, including him, have what we need to write our own perfect story. Why we're taking notice: We're huge Andrew Larsen fans, and he delights us with each new book, with his gentleness, sensitive approach, and his stories' sense of wonder. This one empowers readers (both young and old) to become the authors of their own stories, and it's so good! About the book: When a teacher asks the children in her class to think about what makes their families special, the answers are all different in many ways—but the same in the one way that matters most of all. One child is worried that her family is just too different to explain, but listens as her classmates talk about what makes their families special. One is raised by a grandmother, and another has two dads. One has many stepsiblings, and another has a new baby in the family. As her classmates describe who they live with and who loves them — family of every shape, size and every kind of relation—the child realizes that as long as her family is full of caring people, it is special. Why we're taking notice: Warm-fuzzy isn't necessarily a bad thing. 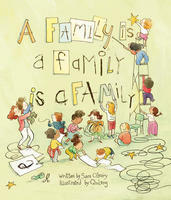 This book celebrates individual families and the creative methods by which families are devised, and how love is the common denominator always. 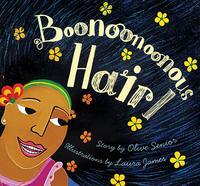 About the book: In this beautifully illustrated picture book written by Commonwealth Prize-winning author Olive Senior and illustrated by the much-acclaimed James, a little girl learns to love her difficult-to-manage curly hair. Why we're taking notice: A fun and gorgeous follow-up to the acclaimed picture book, Anna Carries Water. 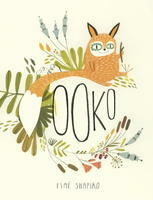 About the book: Ooko has everything a fox could want: a stick, a leaf and a rock. Well, almost everything . . . Ooko wants someone to play with too! The foxes in town always seem to be playing with their two-legged friends, the Debbies. Maybe if he tries to look like the other foxes, one of the Debbies will play with him too. But when Ooko finally finds his very own Debbie, things don't turn out quite as he had expected! Why we're taking notice: Who doesn't want a Debbie to love? This book is charming, weird and fun, and there is the line about, "This is my stick, and this is my other stick, and this is my other other stick." About the book: In this beautiful children's picture book by Vivek Shraya, author of the acclaimed God Loves Hair, a five-year-old boy becomes fascinated with his mother's bindi, the red dot commonly worn by South Asian women to indicate the point at which creation begins, and wishes to have one of his own. Rather than chastise her son, she agrees to it, and teaches him about its cultural significance, allowing the boy to discover the magic of the bindi, which in turn gives him permission to be more fully himself. Why we're taking notice: The book's celebration of culture and gender difference is already being lauded in early reviews. Plus, Vivek Shraya is awesome. 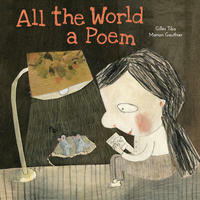 About the book: Poems tall or short or wide—all are infinite inside. About the book: In this sweet and lyrical board book from the creators of the bestselling Little You, gentle rhyming text captures the wonder new parents feel as they welcome baby into the world. A celebration of the bond between parent and child, this is the perfect song to share with your little ones. 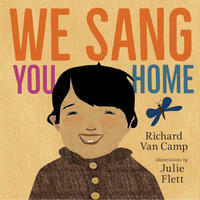 Why we're taking notice: Our love for Van Camp and Flett's previous collaboration is well-documented. So excited to get my hands on their latest book!